The Korean rapper PSY released his new song titled "Gentleman," and now making the new single goes viral over the net. You can watch his latest dance moves below after this break. Psy new song has a very good beat of sound that everyone who gonna heard this will surely dance and will do the Psy dance craze move. What do you think? will the Gentlemen song lose out the very popular "Gangnam Style" song? Well, will see in the coming days, if they will adapt this newest dance craze of PSY. Damn! Girl! I'm a party mafia! Wet PSY! Wet PSY! Wet PSY! Wet PSY! PSY! PSY! PSY! For the meantime, If you like this information, please bookmark it now or visit this site more often for you to be updated. 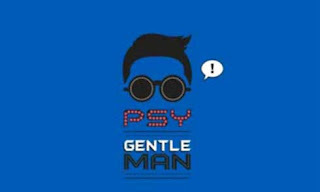 You may also share this post to your friends so they may know about PSY newest song Gentleman. Comments or suggestions about "PSY new song Gentleman (Video) Lyrics" is important to us, you may share it by using the comment box below.